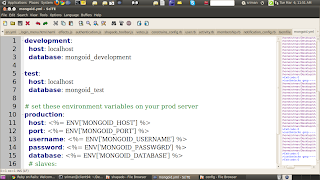 This blog post lists step by step instructions for integrating MongoDB in RAILS Application . To create application with Mongo db you need to skip active record. 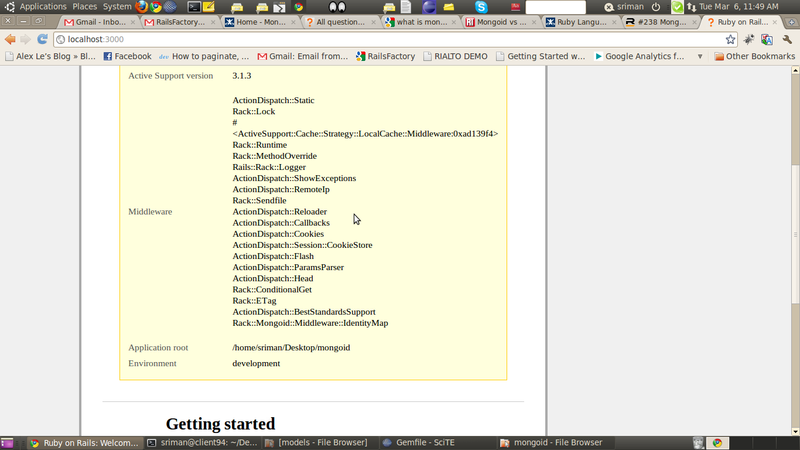 Before bundle install make sure that you have included following gems in your gemfile. IF any problem occurs during bundle installation remember dependencies of mongoid should be of same version.Otherwise it will give error while installing bundle. 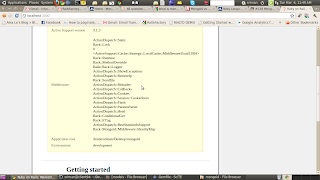 Now run the server check whether connection established with mongoid. 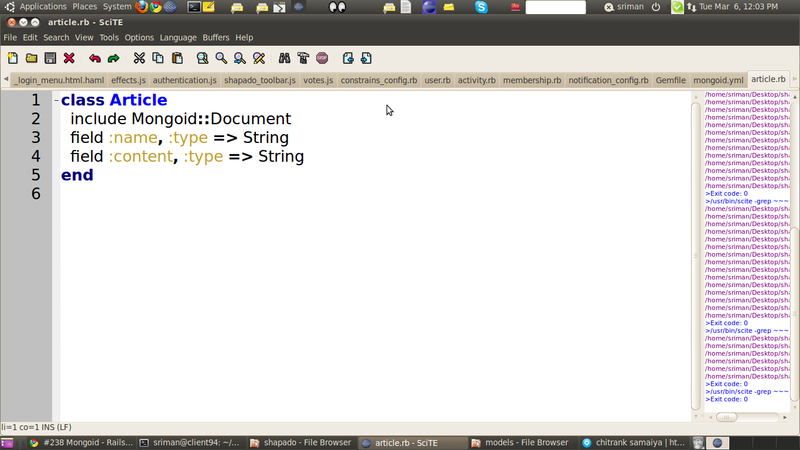 Let's create mongoid.yml file . Now instead of generating migration we will write fields in model itself. No need of migration file in mongo db. Now Start the Server . Validation and Association Validation is same as it was in ActiveRecord but Associations is slightly different.Some new association are introduced. 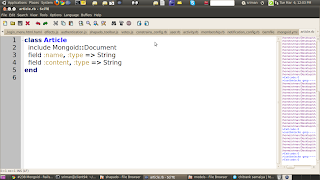 embeds_many and embedded_in,embeds_one and embedded_in,references_many and referenced_in,references_one and referenced_in and associations used in active record.